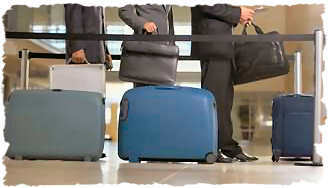 With a business or pleasure trip just around the corner, packing your luggage can be both fun and stressful. Not only do you need to account for the clothing that you will need during your trip, you will also need to think about overall weight and what you will place in each piece of your luggage to avoid security issues. You also need to plan if some of your luggage decides to take a vacation of its own. The IHateTaxis.com team have packed up our luggage so many times for so many different trips, be it for that relaxing week in Hawaii or the five week safari in Tanzania complete with a Kilimanjaro hire. All IHateTaxis.com team members have had the experience of losing our luggage for several days or have had to deal with a security issue since something we packed was not allowed to go on the plane. So with lots of experience and the latest security information, we have complied a guide of "what you can and cannot take on the plane", complete with all of our experiences to make your trip as stress-free as possible.